B.C. to allow homeowner groups to fine defiant short-term rental hosts $1,000 a day! Detached houses continue to weaken in July. It has dropped by 2.3% since July last year. On the comtrary, Condos and Townhouses are showing strength in this uncertain market. 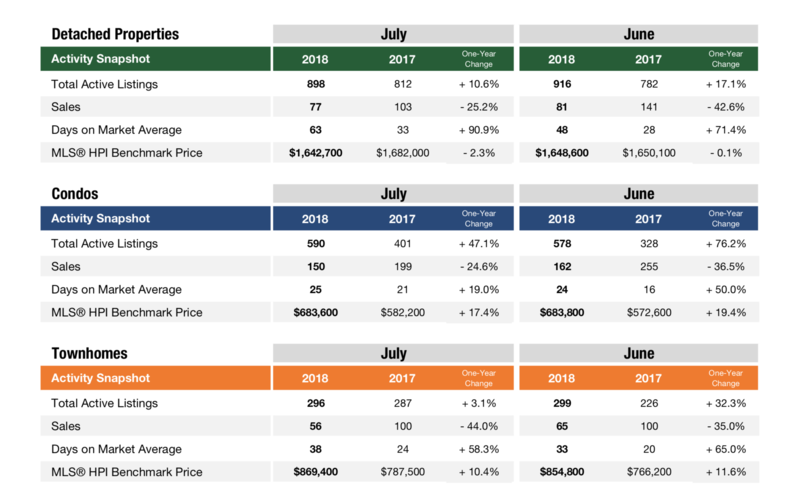 Condos grown 17.4% since July 2017 and Townhoues increased 10.4%. Hopefully we are able to see more staibility of detached houses in the 3rd quarter. Marquise, Pre-Sale Condo on Cambie and King Edward is now selling! It has total 58 residential unitls. 23 one bedroom units, 21 two bedroom units. 7 three bedroom units and 7 townhomes. Call me if you are looking to purchase Marquise or Cambie Corridor properties! Richmond Townhouse has out performed detached house in December 2016. It might be a good time to invest in Condos and Townhouses in Richmond now. Check out Vancouver Empty Homes Tax framework here. 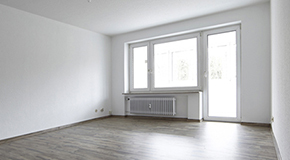 Is your property exempted from it? "The City won’t sit on the sidelines while over 20,000 empty and under-occupied properties hold back homes for renters struggling to find an affordable and secure place to live,” says Mayor Gregor Robertson. Vancouver will have an Empty Homes Tax in place by effective January 1, 2017, with staff reporting on the Tax’s next steps to Council on Tuesday. 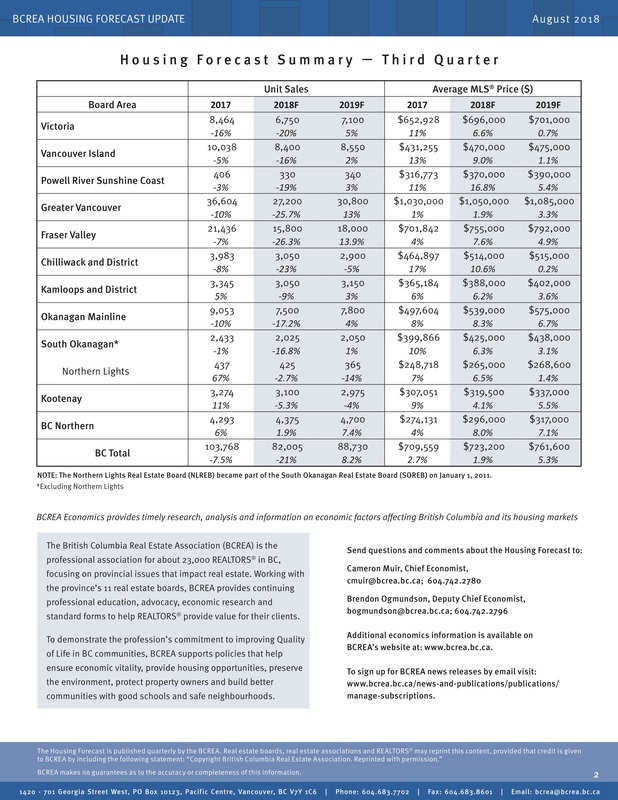 Targeting the known 10,800 year-round empty and roughly 10,000 more under-occupied homes in Vancouver, staff are recommending that all non-principal residences (except those qualifying for an exemption) which are unoccupied for six full months of the year or more will be subject to a 1% Empty Homes Tax. Vacant residential land will also be subject to the Tax. Most Vancouver homeowners, including snowbirds, will not be subject to the Empty Homes Tax. Principal residences will not be charged the Empty Homes Tax, nor will properties that are rented long-term (with a tenancy agreement), or for at least 30 days in a row for a minimum of six months in aggregate over the course of a year. For example, a homeowner renting their investment property for six 30-day terms throughout the year will be exempt from the tax, even if those six 30-day terms are not consecutive. The 1% Empty Homes Tax rate was determined through consultation with industry experts and the public. Applying a 1% tax in addition to existing property tax aligns with current business property taxes, reinforcing the principle that housing used as a business will be taxed as such – particularly as Vancouver grapples with a housing affordability crisis. The property is undergoing major renovations, or is under construction or redevelopment (with permits). The registered owner (or other occupier) is undergoing medical or supportive care. The owner is deceased and grant of probate or administration is pending. Ownership of the property changed during the previous year. The property is subject to existing strata rental restrictions. The registered owner uses the property for six months of the year for work purposes but claims principal residence elsewhere. The property is under a court order prohibiting occupancy. The property is limited to vehicle parking or the size, shape or inherent limitation such that a residential building cannot be constructed. Earlier this fall, Council approved the Empty Homes Tax framework with the goal of putting homes back into the long-term rental market. Over the last month, we have been consulting the public and stakeholders on the final details of the tax, collecting over 10,000 responses through Talk Vancouver, public open houses, and email correspondence. Many, if not most, first-time buyers will experience a steep decline in housing affordability on October 17. New rules introduced by the Federal Government will cause the sharpest drop in the purchasing power of low equity home buyers in years. At a time when housing affordability is a critical issue, deliberately chopping millennials’ purchasing power by as much as 20 per cent will only exacerbate a well-known problem. Under current rules, insured mortgages with variable rates and fixed terms under five years require home buyers to qualify at the five-year benchmark rate. However, if a borrower opts for a five-year or more fixed term, the borrower can qualify at his or her negotiated, discounted rate instead of the higher benchmark rate. This has long been a fixture of the Canadian mortgage market. As of October 17, 2016, ALL home buyers securing a high-ratio mortgage must qualify at the five-year benchmark rate, even if they have negotiated a lower five-year fixed term rate with their lender.  An individual with an annual income of $60,000 and a 5 per cent down payment will experience a reduction of purchasing power from $380,000 to $305,000 (-$75,000).  A household earning $120,000 per year and a 10 per cent down payment will see a reduction in purchasing power from $803,000 to $651,000 (-$152,000). Housing demand will slow as millennials, other first-time and early move-up buyers are squeezed out of the market. This reduction in demand may cause imbalances and declining prices across some product types in some communities. In addition, new home construction activity will lag along with related employment and economic growth. Pent-up demand will intensify, contributing to another cycle of rapidly rising prices in the future as financially retrenched millennials buy up an undersupplied housing stock. In the Vancouver Westside, there were 62 sales of detached homes and 699 active listings at the end of September. The benchmark sale price was $3,624,300, with an average days on market of 31. The hottest market for sales was Dunbar with 12 sales. In comparison, the condo market had 331 sales, 931 active listings and a benchmark sale price of $683,200 with 21 average days on market. The hottest market for sales was Downtown VW, 69 sales. Townhome sales were 31, active listings were 113. 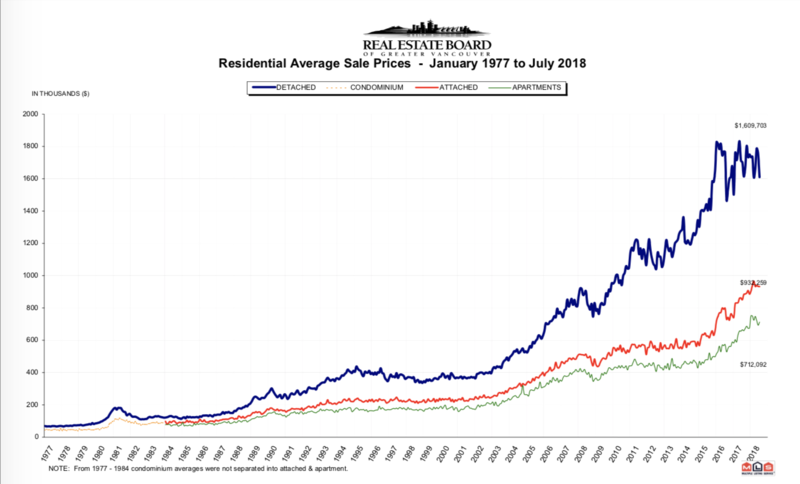 The benchmark sale price was $1,116,300 with an average days on market of 17. Fairview VW with 10 sales was the hottest market in September.